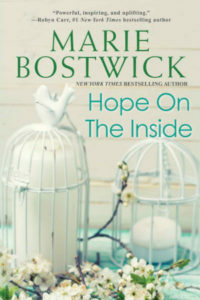 Best selling author Marie Bostwick has a new novel out called Hope on the Inside. It’s about Hope Carpenter, a woman who finds new purpose in a new phase of her life when she volunteers to teach crafts to women incarcerated at a local women’s prison. Marie’s research for the book included a visit to our Tuesday morning class at Coffee Creek Correctional Facility and sharing lunch with the Tuesday morning class instructors. 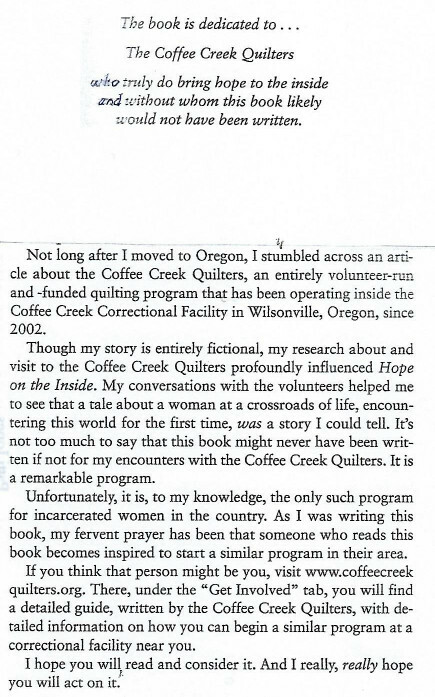 In an acknowledgement, she dedicated the book to Coffee Creek Quilters, “who truly do bring hope to the inside and without whom this book likely would not have been written.” We invite you to read the full acknowledgement. You can learn more about Marie Bostwick and her books on her website and Facebook page.